Keeping your cash secure is a critical component of any ATM purchase. Given the fact that most of the time, it will be your own cash that will be stocking the machine, it makes sense to pay special attention to this consideration. Underwriters Laboratories, an independent product‐safety testing organization, has come up with a standard for ATM security known as UL 291. For models designed to store cash only during business hours, it says that an ATM should be able to withstand a physical attack for a minimum of five minutes. This should be enough time for the store clerk or manager to call the police. A business‐hour cash machine that meets the UL 291 standard weighs about 250 pounds. Weighing in at 700 lbs., more sturdy UL 291 Level 1 ATMs, also called 24‐hour safes, can hold cash unattended and withstand up to 30 minutes of attack. This comes at a price though – expect to pay about $800 more for an ATM with a vault‐class safe. Locks to open the cabinet are available as combination or electronic locks. Combination locks may cost less, but electronic ones are preferred because the code can be entered in faster than manipulating a mechanical lock. Plus, the code can be changed whenever required for security purposes. Some electronic locks have a five‐minute time delay to deter thieves who can not wait around for the machine to open after entering the code. No matter what type of ATM you purchase, they should be secured to a surface – ideally, a concrete floor – with 3‐ to 4‐inch bolts. 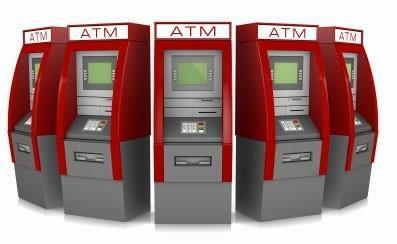 Having a surveillance camera to monitor activity can also help make the ATM more secure. Newer machines are often equipped with satellite tracking devices. These GPS (Global Positioning System) units make the machines easier to track should they be stolen. Your ATM can be equipped with an exploding dye pack to mark the money, as well as startling the thief. Check with the vendor for this popular feature. An alternative to a cash‐dispensing ATM is the scrip machine. This ATM‐like machine deducts the requested withdrawal from the customers’ bank account, but does not dispense any currency. Instead, customers get a printout or “scrip” to take to the counter, where the business supplies the money out of the cash register. This method reduces the need to restock the ATM and ensures the security of the cash, but it can hold up the line and deplete the register’s cash supply. State regulations prohibit scrip machines in some states, including much of the Midwest. If an ATM company sells you a scrip machine and says you can accept credit card cash advances with it, do not believe them. Scrip machines can only legally take checking account debit cards. Unscrupulous vendors will trick the processing networks by signaling the processor that the device is an ATM when it is actually a scrip machine. This can get your ATM quickly shut down. Triple DES (Data Encryption Standard), a method of protecting customers’ personal identification numbers, is required on all new ATMs. If you purchase an older machine, verify that it is Triple DES compliant.